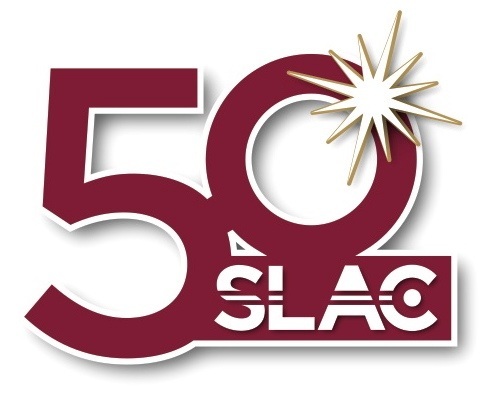 “Last Saturday marked the 40th anniversary of an historic event: In 1973, a team of research pioneers extracted hard X-rays for the first time from SLAC’s SPEAR accelerator. Like X-rays from an X-ray tube, the radiation generated by SPEAR can deeply penetrate a large variety of materials and probe their inner structures. However, SPEAR’s X-rays are significantly more intense and unlock the possibility for brand new science. Forty years later, SPEAR has matured into SPEAR3 and is running stronger than ever, providing X-rays to SLAC’s Stanford Synchrotron Radiation Lightsource (SSRL). And accelerator-based X-ray research at more than 60 facilities around the world has led to numerous breakthroughs in the materials, life, environmental and other sciences. SPEAR was originally built for electron-positron collisions, from which particle physicists gained insights into nature’s fundamental particles and forces. However, it was quickly realized that particle racetracks like SPEAR also produce a byproduct called synchrotron radiation – an intense light with a large spectral range that includes X-rays. Consequently, in 1968, SLAC’s Burton Richter and Wolfgang “Pief” Panofsky granted Stanford University researcher William Spicer’s request to consider the possibility of using SPEAR’s X-rays for experiments, and added a tangential spout to the accelerator’s design as an outlet for this synchrotron radiation. 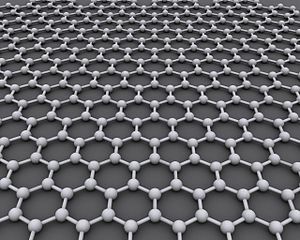 “Researchers using x-rays to study a single-atom-thick layer of carbon, called graphene, have learned new information about its atomic bonding and electronic properties when the material is “doped” with nitrogen atoms. 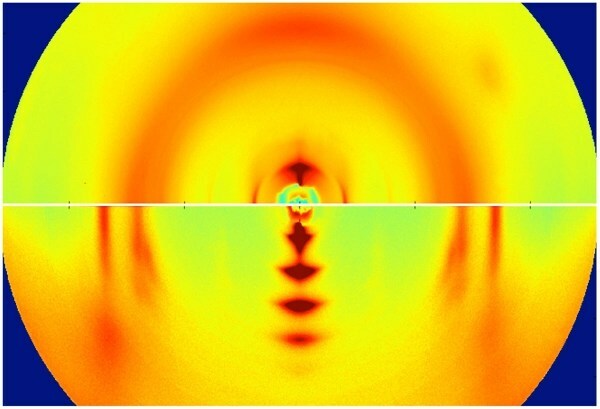 They show that synchrotron x-ray techniques can be excellent tools to study and better understand the behavior of doped graphene, which is being eyed for use as a promising contact material in electronic devices due to its many desirable traits, including a high conductivity and, most notably, tunable electronic properties. In this work, the researchers discovered that several bond types may be present between carbon and nitrogen atoms, even within the same graphene sheet. This results in profoundly different effects on the charge carrier concentration across the sheet, which is not ideal. The paper’s co-authors include colleagues at Columbia University as well as the Stanford Synchrotron Radiation Lightsource (SSRL), CNR-Nanoscience Institute (Italy), Sejong University (Korea), the National Institute of Standards and Technology, Stockholm University (Sweden), and Brookhaven National Laboratory [Brookhaven NSLS is referenced.]. “Two major multi-year projects reached successful conclusions during the annual shutdown of the Stanford Synchrotron Radiation Lightsource. The projects, a wrapping of insulation over the SPEAR3 tunnel and the installation of new hardware and software at several beamlines, promise to provide many users with steadier X-ray beams that are easier to control. ‘SSRL has once more completed a busy shutdown with a range of important projects, focusing on improvements and new capabilities, making us ready to provide our user community enhanced capabilities for their research,’ said interim SSRL director Piero Pianetta. The insulation around the SPEAR3 storage ring, where circling electrons generate the X-rays that power scientific discoveries at SSRL’s many beamlines, is a cost-effective solution to an issue that has dogged the ring for several years. ‘It prevents temperature differences across the concrete blocks that make up the ring,’ said John Schmerge, head of the SPEAR3 accelerator division. In previous years such temperature differences would cause the floor of the ring to rise tens of microns, lifting the electron beam and ultimately throwing the X-rays off their targets in the experimental hutches. There is more too this story, read the whole article here. 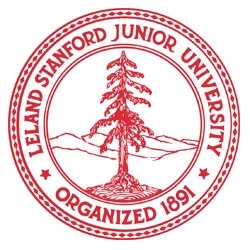 “A team of Stanford University researchers used the Stanford Synchrotron Radiation Lightsource. 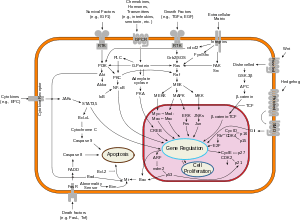 to gain a deeper understanding of a vital family of signaling proteins responsible for regulating an organism’s development and growth, as well as tissue regeneration and wound healing. The protein family, known by the collective name ‘Wnt,’ can cause havoc when their signals go astray; mistakes in Wnt signaling are associated with the development of many types of cancer, including colon cancer, breast cancer and melanoma, and degenerative diseases like multiple sclerosis, Alzheimer’s and type 2 diabetes. XWnt8, a member of the family of signaling proteins called “Wnt” proteins, has an unusual structure resembling a fist with an outstretched thumb and index finger. No image credit. “Researchers working at SLAC have used powerful X-rays to help decipher how certain natural antibiotics defy a longstanding set of chemical rules – a mechanism that has baffled organic chemists for decades. Their result, reported today in Nature, details how five carbon atoms and one oxygen atom in the structure of lasalocid, a natural antibiotic produced by bacteria in soil, can link into a six-membered ring through an energetically unfavorable chemical reaction. Unlocking this chemical pathway could enable scientists to synthesize many important chemicals currently found only in nature. “A technique SLAC scientists invented for scanning ancient manuscripts is now being used to probe the human brain, in research that could lead to new medical imaging methods and better treatments for stroke and other brain conditions. The studies, taking place at SLAC’s Stanford Synchrotron Radiation Lightsource, are led by cell biologist Helen Nichol, of the University of Saskatchewan, with $2.5 million in funding from the Canadian government and the Heart and Stroke Foundation of Canada. From left: Team leader Helen Nichol of the University of Saskatchewan with postdoctoral researchers Angela Auriat of Stanford School of Medicine, Weili Zheng of Wayne State University and Zhouping Wei of the University of Saskatchewan, during an experimental run at SLAC’s Stanford Synchrotron Radiation Lightsource. 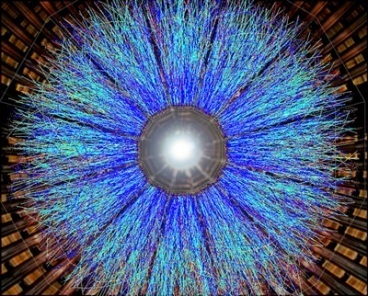 “Scientists working at the National Synchrotron Light Source have discovered an unusually fragile, unstable magnetic state in a member of a class of materials known for its robust magnetic behaviors. Their discovery could lead to applications in the emerging field of spintronics – electronics based not on electric charge but on electron spin, a property that is very closely linked to magnetism. The research was published on July 15, 2011, in the online edition of Physical Review Letters. It was performed by researchers from NSLS, the Stanford Synchrotron Radiation Lightsource at SLAC National Accelerator Laboratory, Pohang University of Science and Technology (Korea), Rutgers University, and the University of Illinois. The layered structure of the bilayer manganite. The material under study is a compound of the elements manganese (Mn), lanthanum (La), and strontium (Sr), and belongs to a family of materials called bilayer manganites. “A team of Stanford and SLAC researchers recently investigated the interaction of hydrogen with such single-walled carbon nanotubes coated with platinum nanoparticles. Experiments at Beamline 13-2 of the Stanford Synchrotron Radiation Lightsource [SSRL] revealed that the addition of platinum as a catalyst made it possible for hydrogen to bond with the carbon nanotubes at realistic conditions (<10 atmospheric pressure at room temperature). This research shows that carbon nanotubes doped with a suitable metal catalyst, such as platinum, represent viable materials for hydrogen storage. However, much work remains before these nanotubes can achieve the Department of Energy goal of 6 percent weight efficiency. To expand the use of hydrogen in mobile applications-such as hydrogen-powered buses and cars-researchers will need to design lightweight, compact means of storing it. One possible method is to store hydrogen inside carbon nanotubes. Theoretical predictions suggest that, through a mechanism that forms stable carbon-hydrogen bonds, it would be possible to store one hydrogen atom for every carbon atom inside single-walled carbon nanotubes." Schematic of the “spillover” mechanism by which platinum nanoparticles (tan) helps make it possible to store hydrogen (purple) in single-walled carbon nanotubes (gray).